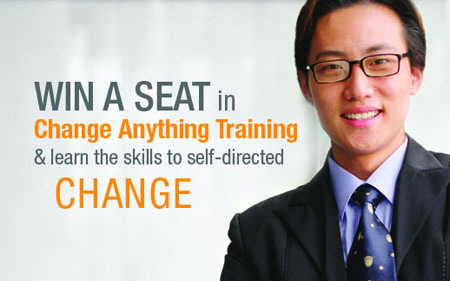 We want to help one deserving person change their life by giving them a seat in an upcoming Change Anything Training public workshop. The selected winner will also receive a $200 travel stipend to get them to the VitalSmarts public course nearest them (Total value: $895). Enter to win our training giveaway by joining us on Facebook and telling us which behavior you would change if you were selected to attend training.